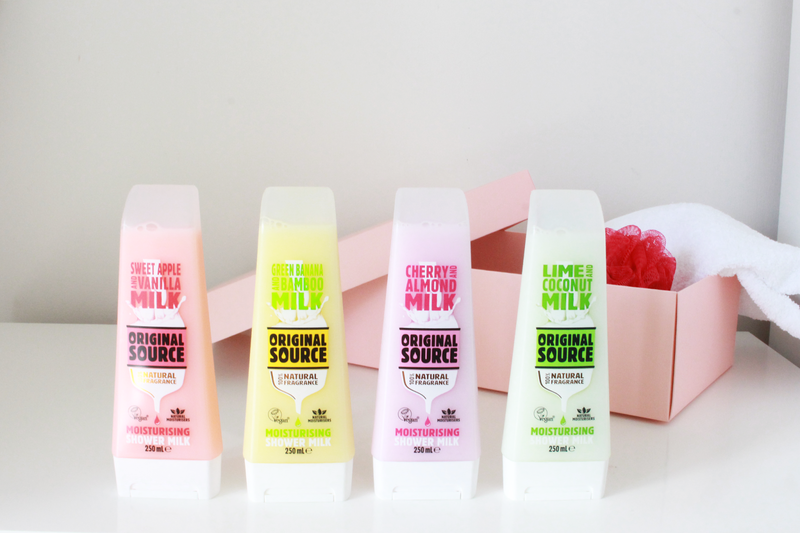 This summer, Original Source have introduced their new Shower Milk range which come in the most pretty pastel colours and scents. The range adds an extra moisturiser to make your skin feel even more hydrated and ready for the day. I've tried out all four of the shower gels and they are all as good as each other! All of the products are made from real vegan milk extracts and 100% natural fragrances making them suitable for all my vegan friends out there. You can find them in Tesco for £2.20 or visit the Original Source website to find out more! I'm such a sucker for a pretty pastel colour bottle! All the flavours sound delicious, I don't think I can choose a favourite! The packaging is so cute! I love the sound of the Vanilla one! The packaging looks so pretty, great post! I love Original Source products, so I will definitely need these in my life!